Colour can alter the mood of any room and even more so in the kitchen. ​Here our clients have opted for some amazing colour schemes from complementary and contrasting through to eclectic and colour block. While grey, at the moment, is still very much the neutral choice, a splash of colour will add your own individual touch. Depending on the size of the space, an Island is perfect for adding a solid block of colour, especially if you opt for fairly neutral floors or walls. ​You can also highlight colour using co-ordinating textures which can also soften the look. 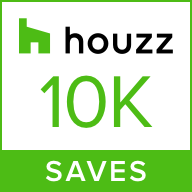 Houzz featured this kitchen project in May 2016 and to date this has received 18,980 saves and the saves continue on a daily basis. ​It was a great project to work on!